An extended version of マサカリブレイド can be found on REDALiCE's third solo album, AKA. A remix of マサカリブレイド by Kobaryo, titled マサカリブレイド (Kobaryo's FTN-Remix), also can be found on the same album. マサカリブレイド is featured in the TENKAICHI ULTIMATE BOSSRUSH MEDLEY, from SOUND VOLTEX IV HEAVENLY HAVEN. マサカリブレイド was added to SOUND VOLTEX III GRAVITY WARS on October 15th, 2015 as the SOUND VOLTEX Qualifying Round Song of the 天下一音ゲ祭 全国一斉認定大会 2015 event. From March 10th, 2016, it is available to all SOUND VOLTEX machines. マサカリブレイド is Yoshikazu Nagai's first original composition in the SOUND VOLTEX series. Voltenizer Maxima appears in マサカリブレイド's jackets. He also appears on the gameplay background for マサカリブレイド. マサカリブレイド was added to 太鼓の達人 レッドVer. as the 太鼓の達人 Block Tournament Song of the 天下一音ゲ祭 全国一斉認定大会 2016 event. 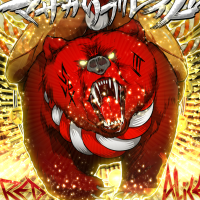 In the 太鼓の達人 series, マサカリブレイド's artist is slightly changed to REDALiCE 「SOUND VOLTEX」より.